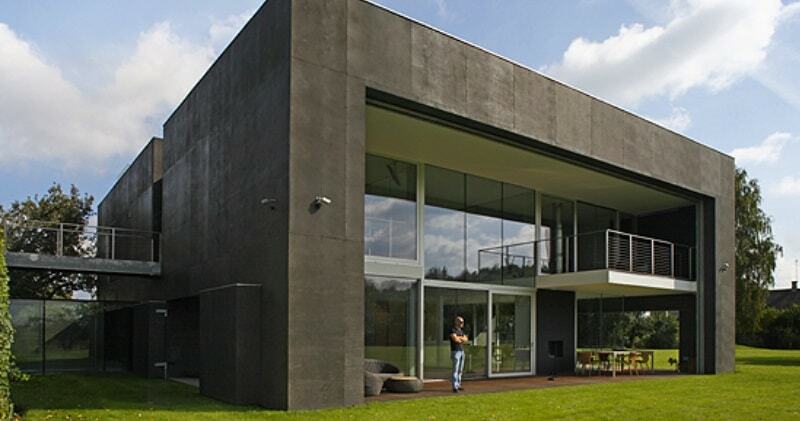 For the wealthy who’ve always wanted a zombie-proof home, Robert Konieczny of KWK Promes is the man you should be calling right now. This example, called the “Safe House”. It has walls that can be sealed shut, making it impenetrable to just about anything short of missiles / bombs. That’s not all, there’s even a guesthouse, complete with floor-to-ceiling windows. Filmic story about the Safe House. Its innovation consists in an interference of the movable walls into the urban structure of the property. As a result when the house is closed (at night for example) the safety zone is limited to the house outline. During the day as a result of opening of the walls it is expanded of the garden surrounding the house.The architecture firm explained that this building was designed specifically with maximum security in mind. 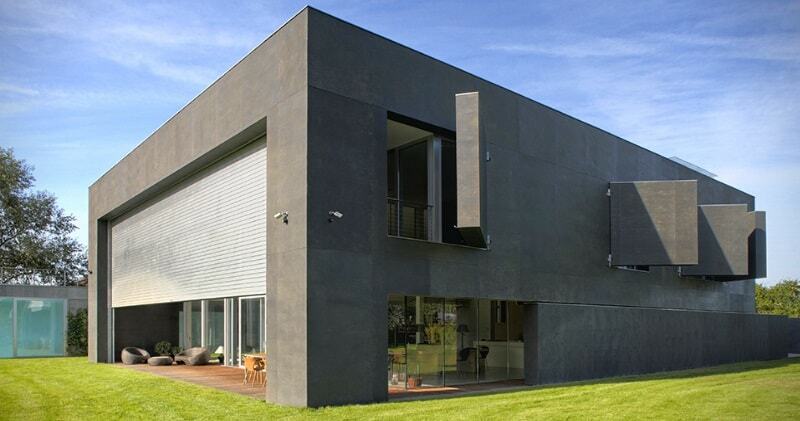 To that end, the entire structure of the house is solid concrete with movable walls that can be folded in to make the building itself entirely and utterly sealed. At night time, or when the owners of the house are away, even the windows can be secured with a thick slab of concrete.